The ULTA and DYMO Winners! Congratulations to our Chick Winners this week!! The winner of the DYMO Label Maker goes to: Starry-eyed Barefoot Bride! Please send your shipping information to info@weddingchicks.com with "DYMO WINNER" as the subject. The winner of a $50 ULTA gift certificate goes to: Mrs. Aaron2B! 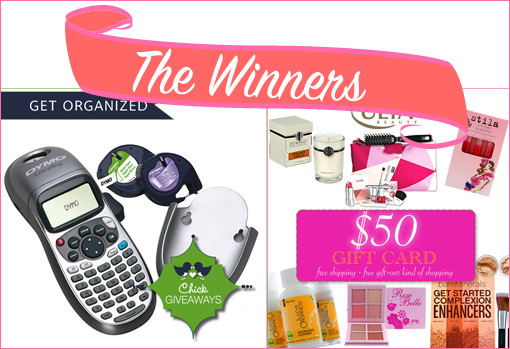 Please send your shipping information to info@weddingchicks.com with "ULTA WINNER" as the subject.